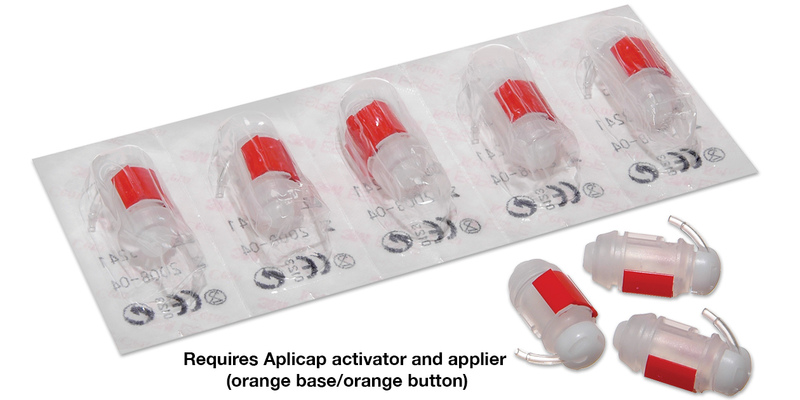 Convenient and consistent Aplicap capsule delivery system. Requires Aplicap activator (orange base) and applier (orange button). Contains: 50 capsules, 1 activator, 1 applier, mixing pads.